It’s Wikipedia Wednesday already! Doesn’t time fly? Same rules as last week: Six clicks, six random articles, find something interesting to talk about. This week the first click was the most interesting. For me, that is. Your mileage may vary. Today, boys and girls, we landed on Vostok 2. This is one of wikipedia’s disambiguation pages where a single term could refer to more than one topic. Though of course virtually everything to do with space was a first in those days. 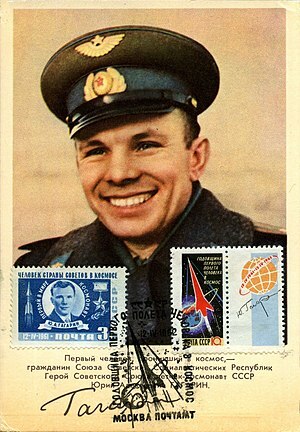 The Russians edged out first American in space by less than a month – on 5th May 1961 Alan Shephard piloted the Freedom 7 mission, though his suborbital flight only lasted 15 minutes, against Gagarin’s orbital flight of 108 minutes. He did however go on to become the fifth man to walk on the moon, which is awesome. He also whacked some golf balls around whilst up there. Battle of Misrata (also known as the Siege of Misrata), was a battle of the 2011 Libyan civil war. It was fought between troops loyal to the government of Muammar Gaddafi, and anti-Gaddafi rebels who held Misrata, the third largest city in Libya. Vanant, the Avestan language name of a minor Zoroastrian divinity which literally means “conqueror”. Caecilia marcusi a species of amphibian in the Caeciliidae family, endemic to Bolivia. Its natural habitats are subtropical or tropical moist lowland forests, plantations, rural gardens, and heavily degraded former forest. Wismes, a commune in the Pas-de-Calais département in the Nord-Pas-de-Calais region of France.